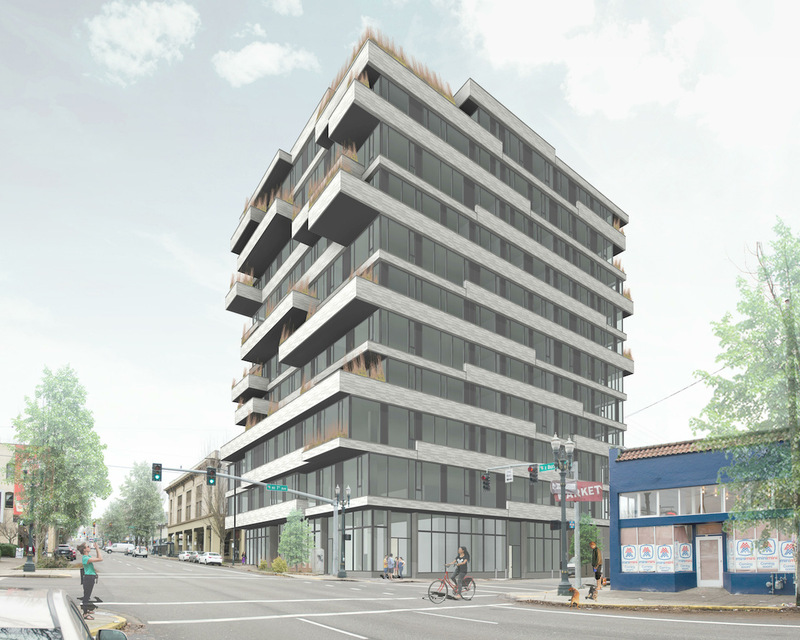 A second Pre-Application Conference has been scheduled by SERA Architects to discuss a revised proposal for 505 NW 14th. As now envisioned the development would allow the historic Fire Station #3 to remain, a change from an earlier proposal that would have seen it demolished. The building is currently home to Touché Restaurant & Bar. The project for Mill Creek Residential Trust has also significantly grown in size. 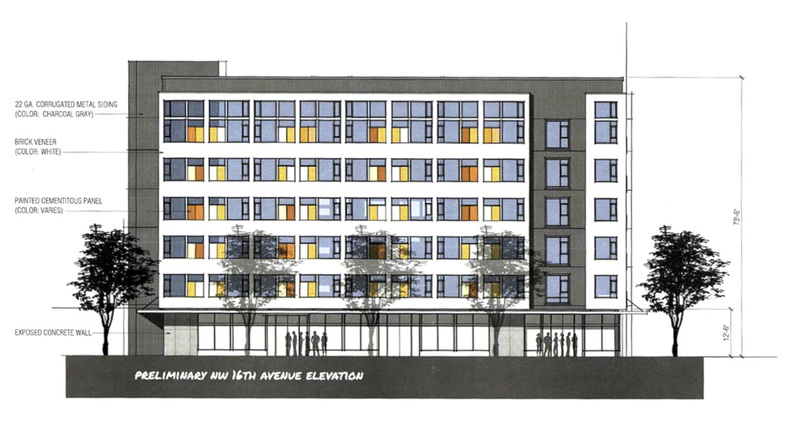 The building would now reach 16 stories, and include 280 residential units, up from the 12 stories and 150 units proposed in April of this year. 222 vehicular parking spaces are proposed. 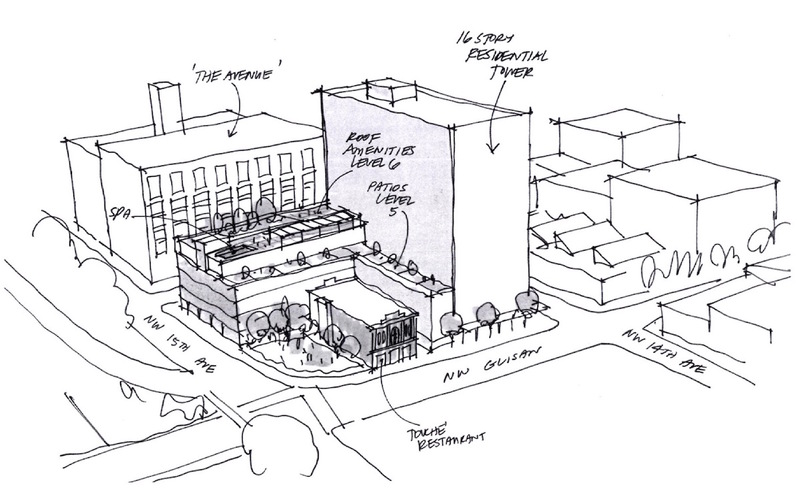 Drawings show a 16 story bar tower oriented to NW 14th Ave, with a lower rise sidecar form wrapping around the fire station building. Building amenities are shown at level 6, including a club room, fitness center, rooftop terrace and spa. 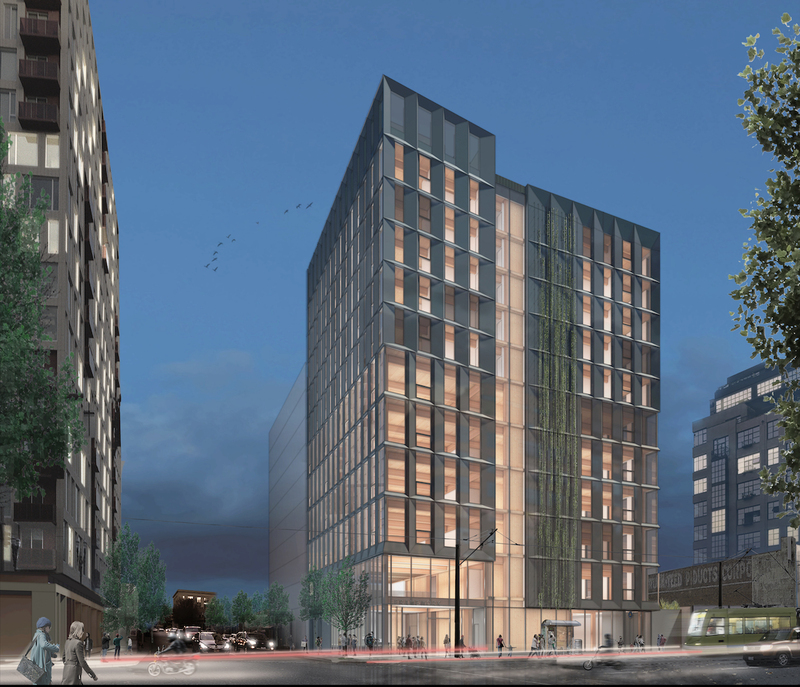 Gerding Edlen development have scheduled a Pre-Application Conference to discuss a 17 story tower at 5 SE Martin Luther King Jr Blvd, the current home of Fishels Furniture. Preliminary drawings by GREC Architects of Chicago show an “L” shaped building occupying the entire block. 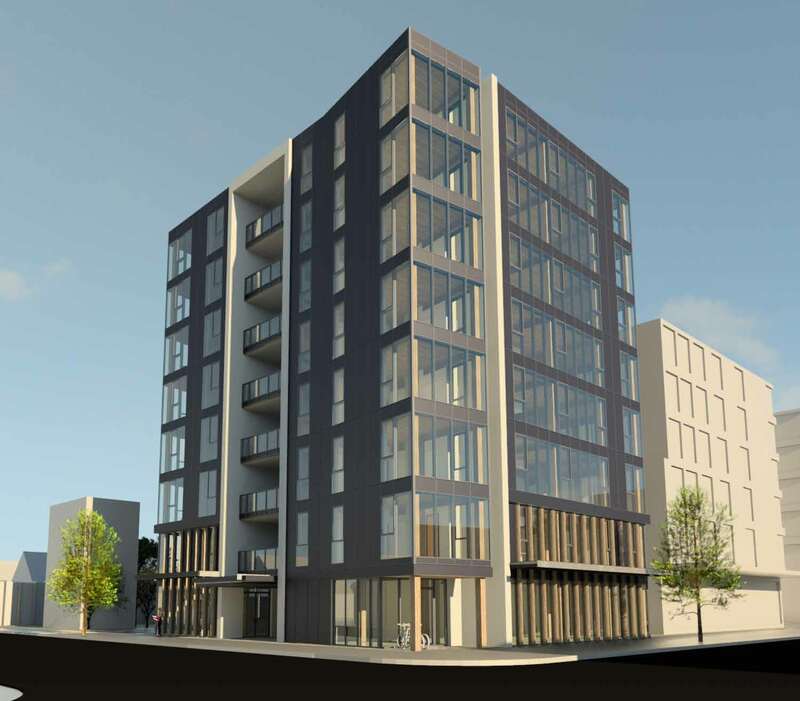 Buildings plans show a main entry to the building at the corner of SE MLK and E Burnside, with retail spaces fronting SE MLK and SE 3rd Ave. Levels 2 to 5 of the building would include approximately 100,000 sq ft of office floor space. Above that the building would include an estimated 220 residential units. Around 180 car spaces, serving both the residential and office uses, would be located in three levels of below grade parking. 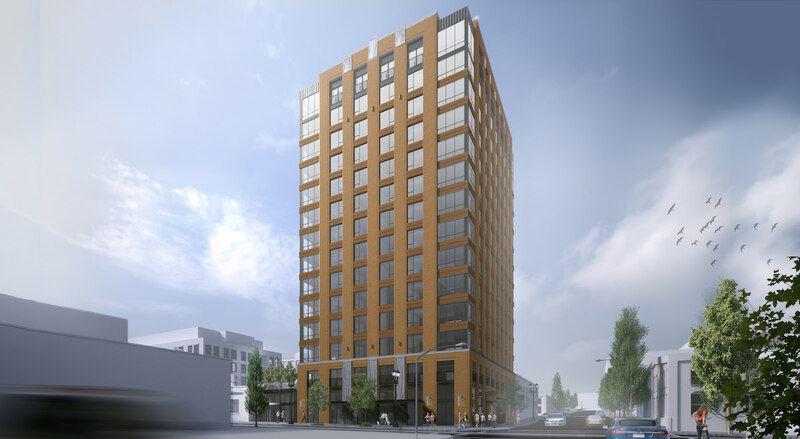 Polyphon Architecture & Design have returned in front of the the Design Commission with revised designs for a mixed use tower at SE 7th & Burnside. 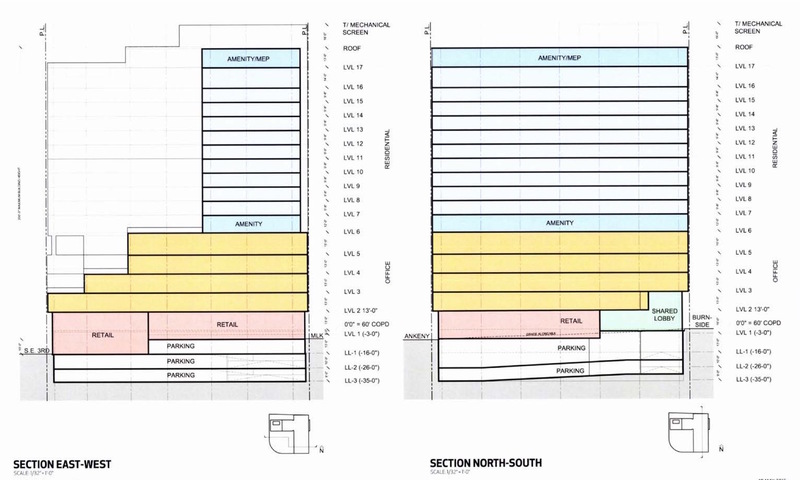 As now proposed the 12 story, 132’-10” tall building would include 20,066 sq ft of office space and 62 residential units. Two retail units would front onto E Burnside. Parking for 53 cars would be provided, in a below grade parking garage. 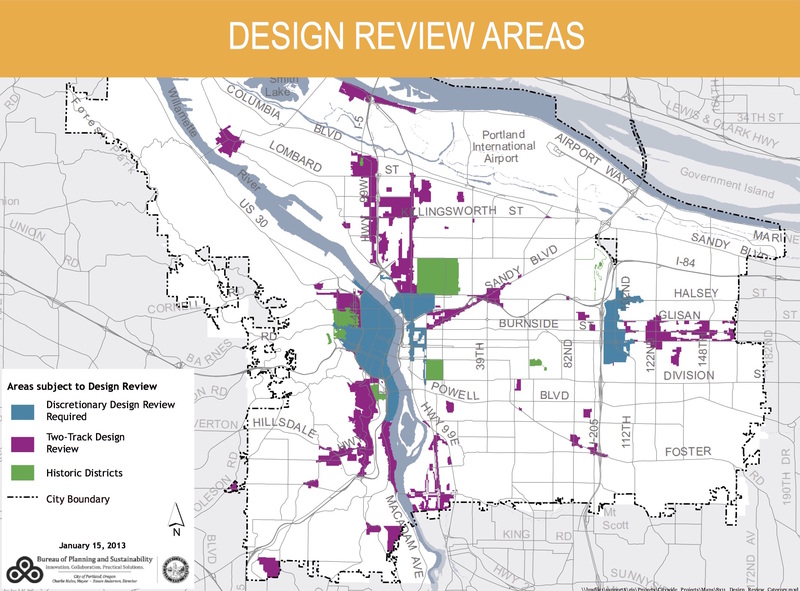 Design Review Areas in the City of Portland. 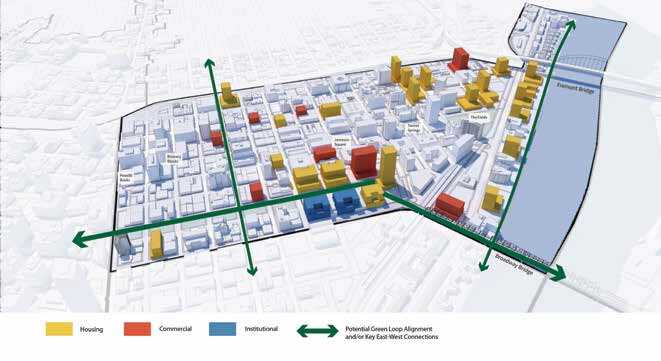 With some exceptions, the Design Commission reviews projects in the blue areas. Projects in the purple areas typically only come before the Design Commission if they are appealed. Projects in areas shaded white are not currently subject to Design Review, though expansion of Design Review is contemplated as part of the 2035 Comprehensive Plan. The Portland Design Commission has released a best practices memo “intended to assist applicants successfully complete Portland’s Type III Design Review process” and to give “an understanding as to how the Design Commission upholds the Design Guidelines.” The memo is republished in its entirety below, without edits by Next Portland. This Best Practices document is intended to assist applicants successfully complete Portland’s Type III Design Review process. It is intended to increase the level of predictability for applicants by giving them an understanding as to how the Design Commission upholds the Design Guidelines. It is likely that applicants who utilize this document, while also collaborating with Bureau of Development Services (BDS) Planning Staff throughout the process, can lessen the need for redesign and also reduce the number of submittal packets and hearings before the Commission. This document will be updated periodically as it strives to convey to applicants the most up‐to‐date leanings of the current Commission membership.